As is we are basically a forum only ... can't imagine anyone uses any of the other features much if at all. Whilst a nice cms front end would be .. errrr nice.. I don't think we're any better off starting without it... so long as the forum front page looks okay. Not sure if we can port a few ongoing or popular topics over... ? I agree. While the news agregrator is handy, I never came here for that. I came here to learn and discuss triathlon. Happy to move over properly whenever. Forum with some relevant ads - similar to RetroBike, TimeTrialling and BikeRadar. Yes, the Forum is basically what TT is; the website/news bit has become completely irrelevant to anyone left here. If you really want news, just go to S/T or Tri247. As stated, TT is about the exchange of info, advice and ideas in an anonymous and polite fashion. If the current site has become that much of a PITA to manage, and Hammerer has limited ability to strip-out oll the extraneous stuff, then I guess a change is needed. But I think losing all the historical stuff as part of the Forum would be a serious shame, unless we could at least have it attached as a searchable 'library'? Because given the amount of traffic we currently create, it will take years to build-up a useful resource again. Does anyone else see ST articles pop-up on their FB feed and just think 'serious first world problems' and keep scrolling? I said a while back that TT is dying and a concerted effort did happen to keep it going but IMO, it's on life support. I just don't see the attraction of going around in circles constantly talking about the same thing. I like endurance sports, cycle racing, running/trail running, so the trail running part is appealing but limited. I wouldn't be part of anything more than than it is now, there just isn't enough traffic or variety to keep my interest. TT offers real value that I cannot get elsewhere: there are a number of regular contributors who have many years experience of being normal triathletes. Many people have worked up from being average to being in the top quartile in terms of their performance, and a few have gone much higher. Most of the members are intelligent and articulate, and also have a degree of skepticism. Other than the front page I quite like the forum approach (compared to FB), a new front end to the boards would be good if we could keep this old one, there's still some useful info in the pages. I find most of the people on here a bit more level headed than some of the idiots on IMJ, especially asking the same question all the time. The forum does offer better search options. It would be good if some advertising could help fund things, although I'd be willing to chip in towards the costs if required. It would be good to get some new members though. Sometimes they might look at how old the news is and not go much further. I think TriTalk 2.0 should be just a Forum to save the extra work required to keep other things up to date. As there is no point in have sections for News and Events if they are not current. Similarly, things like the Wiki and TriPlayer are probably not required these days either. Unfortunately, much as though I loved Blogland, that is currently gathering dust too. There was a time when if your Blog wasn’t updated weekly, it would quickly drop out of the Top 50. Now, the Top 50 includes Blogs that were last updated over 4 years ago. Although it would be a shame if old Blogs, Epic Race Reports, great training threads, etc. were lost forever. Previously, there was some talk about archiving this forum, but I am not sure how this would work. Similarly, would links to photos saved directly on this forum still work? If they were going to be lost, then I would spend some time copying them somewhere else. I have made the hard decision not to join the new forum unless I am going to return to racing. But I thought I would sign off with some of the happy memories I have of a great forum. I loved supporting TTers and the support I was given (both in person and on line). The TT Socials were a great way to meet people in the real world, but vodka shots lead to carnage. 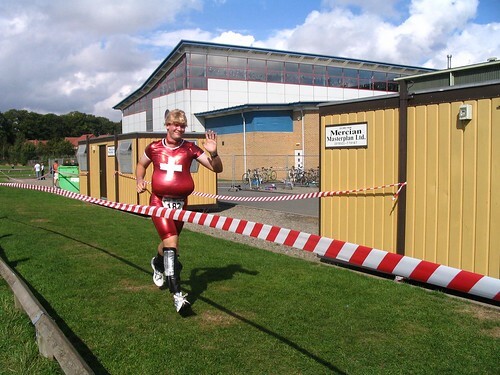 But the various end of season ‘fancy dress’ races always provided the best photos. We made our own trophies in them days and had real butter for tea. Just for emergencies, you might want to take this with you to the new place. I can see them on a different forum, but not here. other option is Discourse as seen on the sub domain. This site then becomes archived. It means everything starts from scratch but with this available. direct links if stored as url may be flaky, Im yet to see the result, but you just replace the www.tritalk.co.uk with the ip addy (which i would supply) and it would find stuff again.